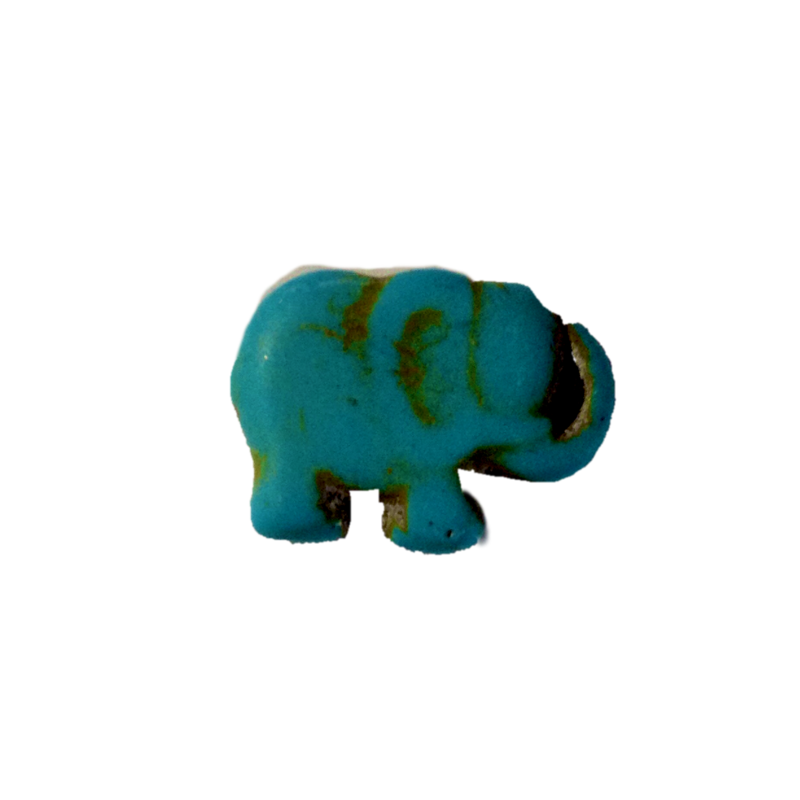 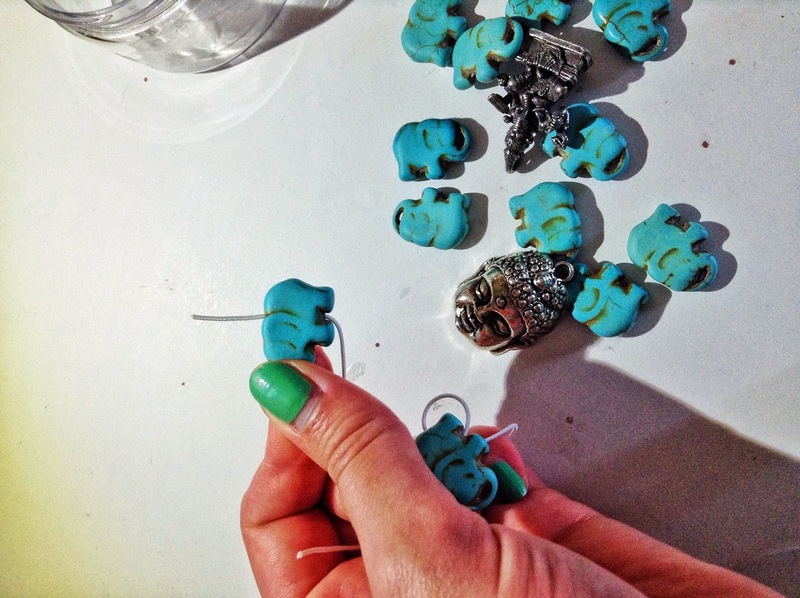 I bought these adorable turquoise elephant beads from Michael’s months ago and never made anything out of them. 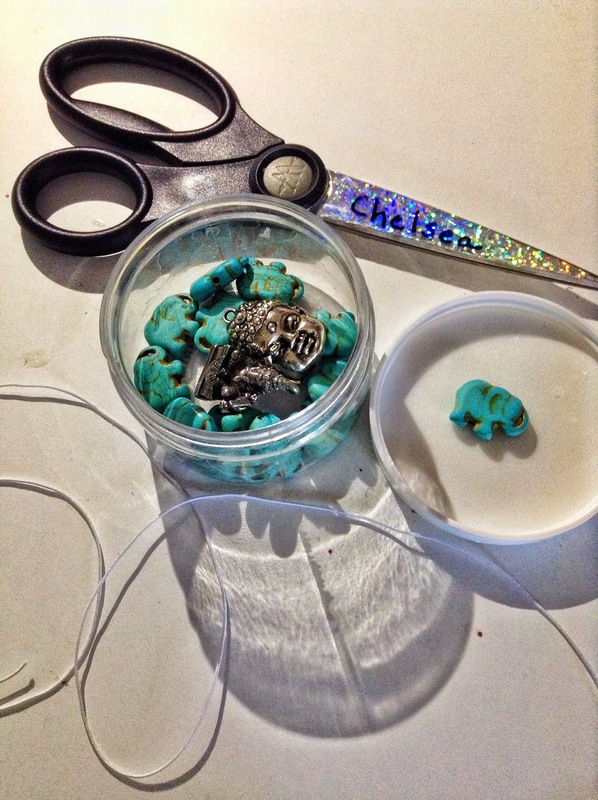 The other day these cutie beads were calling my name and I decided to do a lil’ jewelry quickie. 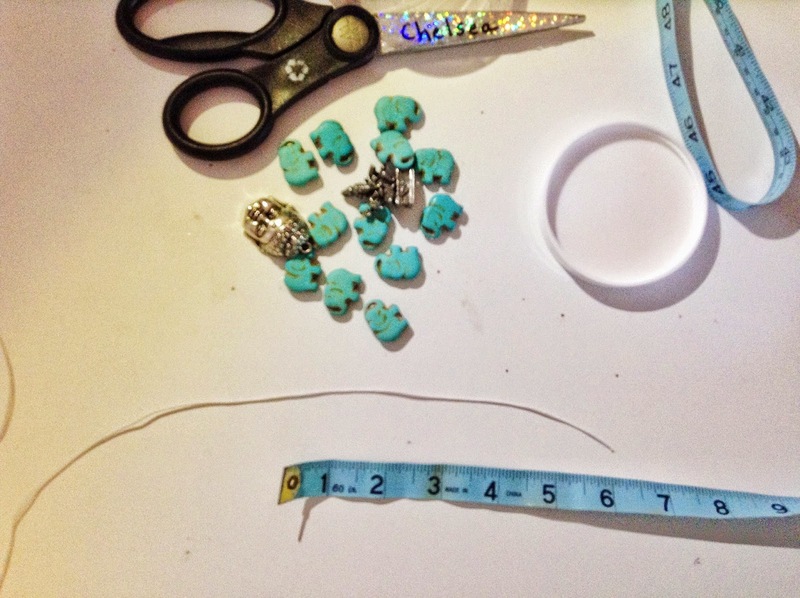 All I needed was a little bit of stretchy string, measuring tape, some scissors, and of course my pretty blue beads. 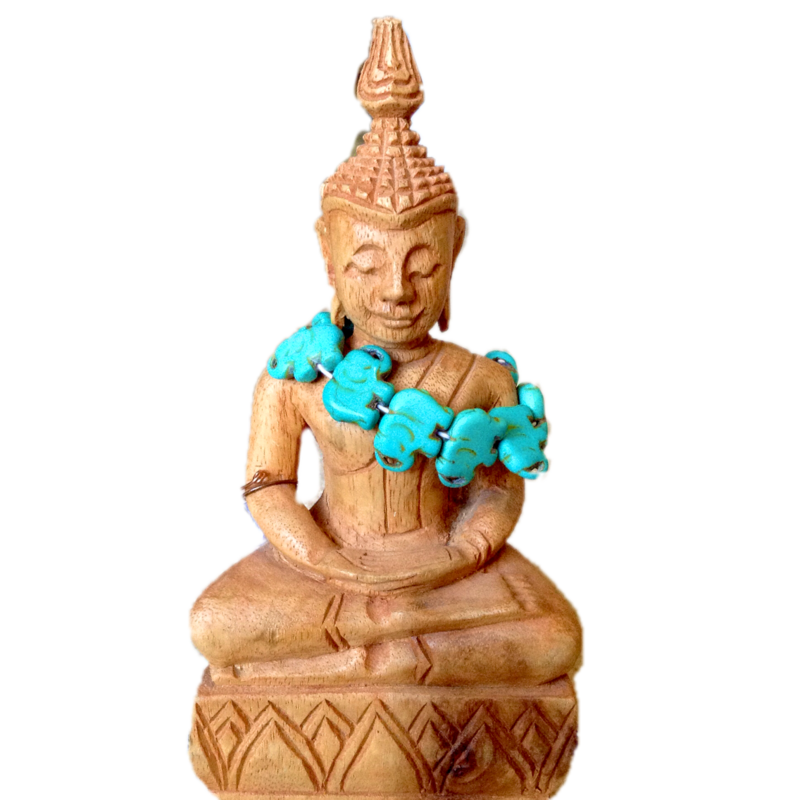 I quickly strung the beads together after measuring out my stretchy string to fit my wrist. 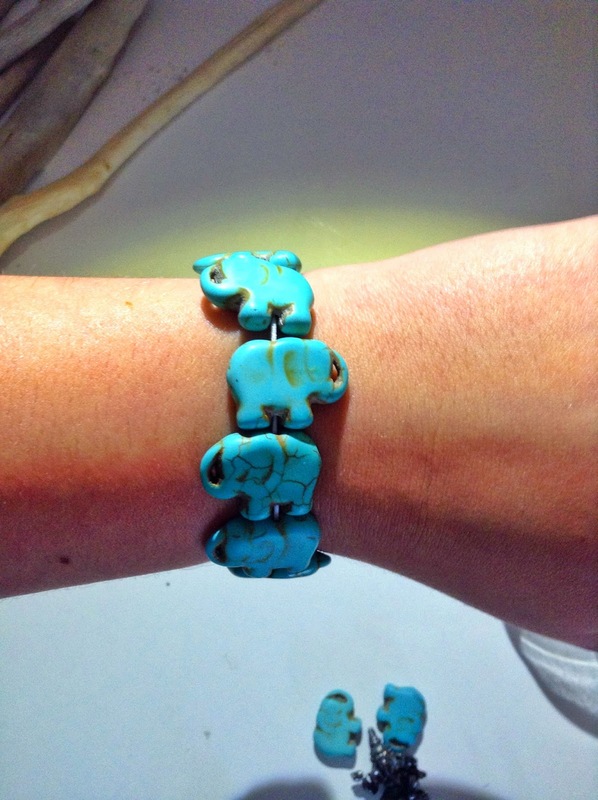 Next, I tied a very tight knot and voilà a brand new elephant bracelet.